Who are you? I'm a Spartan! On Saturday, September 22, Bailey Carpenter, a freshman at Covenant College, completed her first ever Spartan Race in Pulaski, Tennessee. The race, a Sprint, was 4.3 miles in length and consisted of 21 different obstacles, ranging from spear throws to climbing walls to carrying sandbags. Carpenter had never trained for anything like this before, but once she made up her mind she was determined to get in shape. “If I couldn’t get myself to do it once, I wasn’t going to do it at all,” she said. After hiring a personal trainer, Nick Thomas, over the summer, Carpenter got to work, training with a few other members of her 12-person team in preparation for September's race. Thomas is an Elite Spartan who raced in the Spartan World Championship on September 26, and immediately put Carpenter to work. She trained three days a week, focusing specifically on endurance, as well as doing some training in Tai Chi and Kung Fu to increase her flexibility. On the day before the race, the open house, an opportunity to preview the course, was cancelled. As a result, Carpenter went into race day completely blind. She was nervous and felt like she was not prepared for the course because she had not seen it yet. Nevertheless, Carpenter was ready to go. “I was pumped. I was extremely excited. I was ready to do something totally different than anything I had done before,” she said. The first obstacle was a wall climb. Carpenter and her teammates had to climb over multiple six foot walls, but they were able to assist each other, something that is only allowed if you have a team. The only one of the 21 obstacles that Carpenter was not able to complete was the spear throw, which resulted in 30 burpees, the course penalty for not completing a challenge. Carpenter said that her favorite obstacle was the mud dunk—an obstacle in which contestants climb in and out of three pools of mud, ducking under a wall in the last pool which forces their whole head under the water. The most challenging obstacle, on the other hand, was the bucket carry, which consists of carrying a five-gallon bucket full of gravel. The course culminates in the contestants jumping over a line of fire as they head toward the finish line. Ultimately Carpenter did better than she expected. “There were a couple things I didn’t think I would be able to complete, but I totally did. I’m just looking forward to improving on those,” she said. 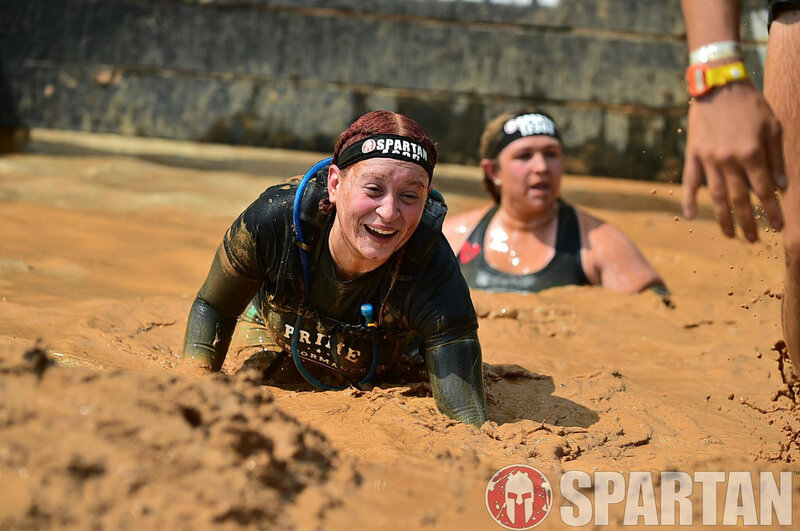 Next year, her goal is to become part of the Trifecta Tribe, which means successfully completing a Sprint, Super, and Beast Spartan Race. For now, Carpenter continues to train for an upcoming endurance event on October 20 called Tough Mudder, a series in which participants attempt ten 12 mile-long obstacle courses that test mental and physical strength. She is participating in this race with Hunter Johnson (‘22), and her goal is to eventually get a group of Covenant students involved in fun activities like this, possibility even creating a club for it.